Me and My Big Ideas and The Happy Planner are once again hosting an Instagram Challenge for the month of June. I was excited about this one, and after seeing their free printable sheet (click image above to be linked,) I thought I’d like to make a free printable for all of my friends out there in the planner community. Today is Day 1 of the challenge with the prompt “You!”, so I created a sheet of 1.5 x 1.5 stickers that are all about YOU! I hope these positive affirmations remind you of how valuable and irreplaceable each and every one of you is, and of how much I appreciate each and every one of you! The link for the pdf and png files are now active for download. If you use them in your planners and post to Instagram please tag me @studioelaine and use the hashtag #studioelaine so that I can see how they turned out! I hope to see all of you joining in on the IG Challenge fun! I know I’m quite a bit late with this month’s freebie. Life seems to have gotten away from me… not an excuse, simply the truth. This month’s inspiration, as promised, was inspired by Tiffany. Established in 1837, by Charles Lewis Tiffany, Tiffany & Company is the epitome of style and grace, and the iconic Tiffany Blue seems to represent all we seem to covet and love of about the brand. It’s classic, and refined with just a hint of whimsy. This sticker sheet makes me feel the same way. I especially like the macarons! Kylie Fraley owner of Pretty Peaceful Planner on Etsy with her family. Continuing our interview series Shopping Small (With Big Heart), I am delighted to be introducing you to Kylie Fraley owner of Pretty Peaceful Planner on Etsy. Pretty Peaceful Planner ~ Before opening my Etsy shop, I was working reception at an animal hospital. I was hired in hopes of working in the Veterinarian Technician field. I started at the bottom cleaning some unimaginable animal messes, walking dogs, and cleaning the hospital. After a while I was at the front desk with some other wonderful ladies. A few years later, my husband enlisted in the Army and I left my job at the animal hospital to travel to Georgia with him. This is where we had our first daughter and I decided to stay at home with her instead of going back to work. Pretty Peaceful Planner ~ The biggest factor in starting my business was the need to stay at home with my children and still be able to bring in some extra money for my family. Before opening Pretty Peaceful Planner I was running an Etsy shop designing invitations and stationery. I loved creating invitations for someones birthday or big day. Once I purchased my first Happy Planner I was hooked on anything planner related. I joined Facebook groups and stalked Etsy sticker shops. Thats when it clicked. I could combine my love for designing invitations with my love for my planner. I started making different sets of stickers and cutting them at home. After a while I had enough stickers to open Pretty Peaceful Planner. Pretty Peaceful Planner ~ Days at the Fraley home are quite hectic! Our two girls are 4 years and 18 months old. Taking care of them and running the shop can be a huge balancing act on most days. I spend my days printing and cutting sticker orders while keeping up with the kids. The nights are for designing new prints. Most days cutting goes into the night and designing has to wait. It is a back and forth act between the girls and working on orders. Pretty Peaceful Planner ~ Instagram has been a huge platform for my shop! I have connected with so many other business owners and customers through Instagram. I started an Instagram account for Pretty Peaceful Planner before the shop was open. I would post updates on sticker sets I was designing and how the process was coming along. This helped me gain business contacts before my shop was even open. I usually will post coupon codes first on Instagram. This give my followers a chance to sometimes get discounts exclusively or before anyone else. Pretty Peaceful Planner ~ I would definitely troubleshoot more! I was so confident in my product that sometimes I missed a few things in the process. This left me having to fix problems before sending out orders. It made made order processing time a bit longer at first. Pretty Peaceful Planner ~ Etsy is a very well known website. I love the fact that if you are looking for something unique and hand made all you have to do is search Etsy! This helps with advertising. I don’t have to worry about being accessible for my customers or making sure my ecommerce site is out there. It is easy to navigate and gets my shop noticed. Pretty Peaceful Planner ~ It’s so hard to choose just one thing! I would say my Rustic Yellow and Grey Planner Sticker Set is my favorite. It is the first sticker set I created. I am so proud of this set because it is the set that started it all! Pretty Peaceful Planner ~ My shop keeps me busy most of the time. It is probably my only creative outlet. I would say taking my heated vinyasa yoga classes is my alternative outlet. It helps me clear my head and sweat it out! Pretty Peaceful Planner ~ Shopping small is so important! I love being able to own something created by someone with a small business. It is so much more personal to me. I love being able to support others in their own journey of creating what the love. Pretty Peaceful Planner ~ Since starting Pretty Peaceful Planner I have met some amazing women. I have been shocked by the amount of support from these ladies. From regraming my posts on Instagram to having the opportunity to be featured on Elaine’s blog. The amount of other business women helping each other inspires me tremendously! Pretty Peaceful Planner ~ I want Pretty Peaceful Planner to be a creative outlet for other planner nerds like myself. Sitting down with my planner and decorating my weekly spreads helps me feel calm about my life. In a sense it brings me a little bit of that “me” time that all other women, working or staying at home with their children, know we need so bad! It is awesome to know that I can give that little bit of peace by providing pretty stickers for other’s weekly planner spreads. Pretty Peaceful Planner ~ Go for it! Even if you open an Etsy shop and only have a few listings. Start somewhere and see where it takes you. Don’t worry about the small stuff it all works itself out. Studio Elaine ~ I’d like to thank Kylie for participating in our interview series. 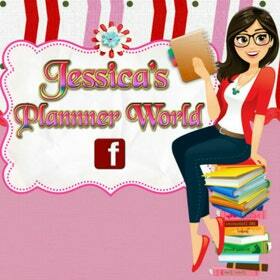 If you haven’t done so already please visit the Pretty Peaceful Planner shop on Etsy and follow her on Instagram. She is an absolutely amazing woman! Her love of family and willinginess to support others in achieving their goals is an example to all of us, and I know you will enjoy her and her creations as much as I do. Click on the links below to connect with her shop and Instagram feed. One of Kylie’s favorite items, and mine as well, from her shop are the Rustic Yellow and Grey Planner stickers, linked above. They are soft and sweet, and would make a great addition to any planner sticker collection.